Allan Havis, educator and playwright, has been appointed Provost of Thurgood Marshall College at the University of California, San Diego. His appointment becomes effective Aug. 1. Havis has been a member of the faculty of the UCSD Department of Theatre and Dance since 1988. He succeeds music professor and pianist Cecil Lytle, who served in the position for 17 years and has returned to fulltime teaching as a member of the UCSD Music Department faculty. Linguistics Professor Robert Kluender has served as acting provost for the 2005-2006 academic year during the campus search for the new provost. As a playwright, among Havis’s pivotal projects was his play, The Haunting of Jim Crow, which marked the 50th anniversary of the Supreme Court Decision, Brown v. Board of Education, a decision that declared racially segregated schools unconstitutional. Havis personalizes the racial issues confronted with focus on the relationship between segregationist Strom Thurmond and his mixed race daughter, Essie Mae Washington Williams. It was presented last year at Sherwood Hall at the Museum of Contemporary Art San Diego. Havis also forged a creative broadcast connection between KPBS radio and his students’ short plays and experimental musical theatre pieces. With numerous plays and awards/grants to his credit, Havis is equally enthusiastic about his students and the challenges they present. He has served as the Department of Theatre and Dance undergraduate faculty advisor and as head of the Master of Fine Arts Program in playwriting, including supervising the Baldwin MFA New Play Festival. 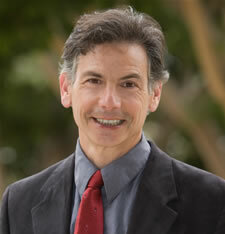 He also has served on the Admissions Committee, the Arts Advisory Committee and the Committee on Academic Personnel. He is a founding member of the Film Studies Steering committee. Havis has had his plays produced at theatres across the United States and in Europe. His commissions include those from England’s Chichester Festival, Sundance, Ted Danson’s Anasazi, South Coast Repertory, San Diego Repertory, Mixed Blood Theatre, and Malashock Dance. His plays also have been produced at the Old Globe Theatre, Seattle’s ACT, Odyssey, Long Warf, American Repertory Theatre, Hartford Stage, Virginia Stage and the Philadelphia Theatre Company. His commissioned drama, Restless Spirits, is a centerpiece of the San Diego Repertory Theatre’s 30th season celebration. Havis is the author of 13 published plays including Morocco, Hospitality, and The Haunting of Jim Crow and the editor of American Political Plays (University of Illinois) and a children’s novel, Albert The Astronomer (Harper/Collins). He received an MFA from the Yale Drama School. Will his new duties as Thurgood Marshall College provost curtail his playwriting? As for spare time, Havis, a resident of La Jolla, has been an avid BMW motorcyclist for 25 years. He holds a black belt in Korean-style Tang Soo Do karate. His wife, actress Julia Fulton, teaches part time in the Department of Theatre and Dance. The couple has two children, Simone, 4, and Julian, 2.